Pace men's lacrosse fell to sixth-ranked Le Moyne this past Saturday. Read about the other games that went down on the weekend. 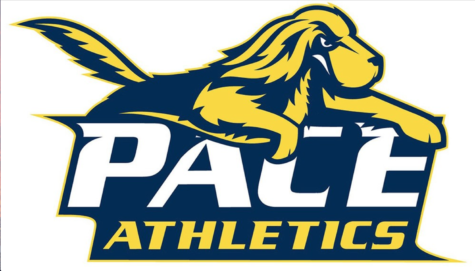 Pace softball was swept in a doubleheader against No. 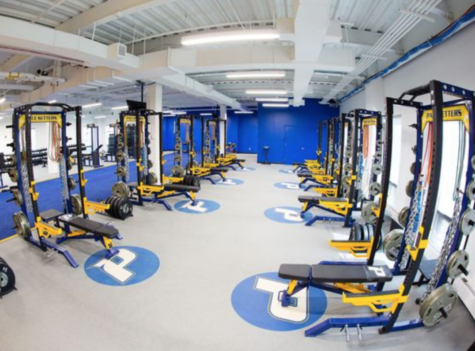 16 Southern New Hampshire on Saturday. In the first game, SNHU won 3-1 against the Setters. Pace held the lead starting in the second inning from an opening run off an RBI single from Jillian Gartner. Senior Annie Carberry scored on the ply after leading off the frame with a single to centerfield. The lead was lost in the fifth inning when SNHU tied the game with a solo home run from Erin Garcynski. Two more runs were earned by the Penmen in the sixth off an RBI double from Gabriella Vachon. 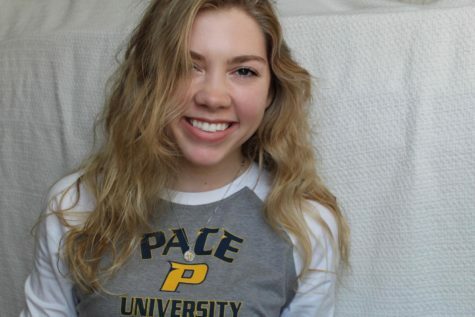 Pace freshman pitcher Kate Dolinksi was dealt the loss in a complete-game effort. Pace was defeated in the second contest as well, 4-0. 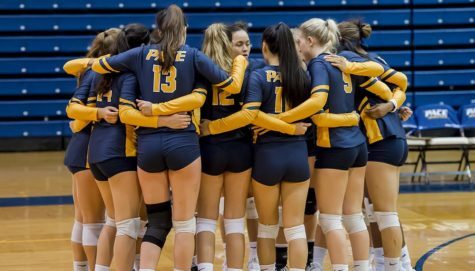 The Setters were only able to make three hits. After a scoreless first three innings, SNHU puts runs across in the each of the next three, followed by a two-run home run in the fifth inning. 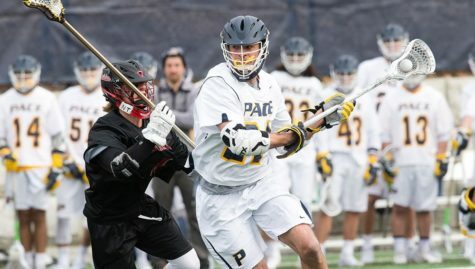 The seventh-ranked Pace men’s lacrosse team was defeated by sixth-ranked Le Moyne on Saturday 11-6. 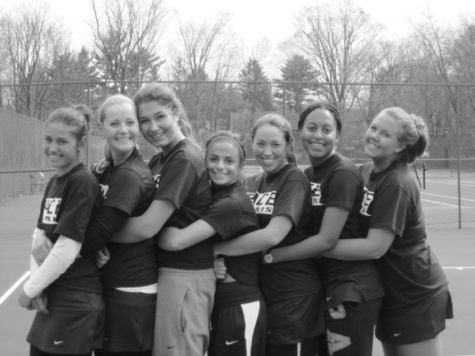 The loss moves the Setters’ record to 8-2 overall and 4-2 in the NE-10 Conference. 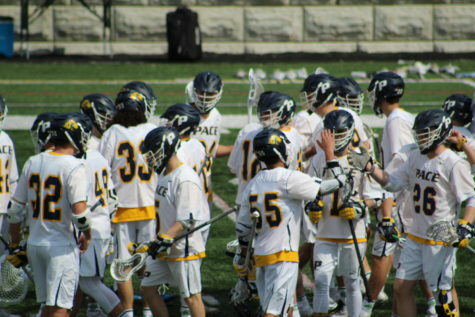 The Dolphins opened the game strong, led by Colin Sypek’s three consecutive goals earned by the 7:17 mark of the second quarter, providing a 6-1 lead. 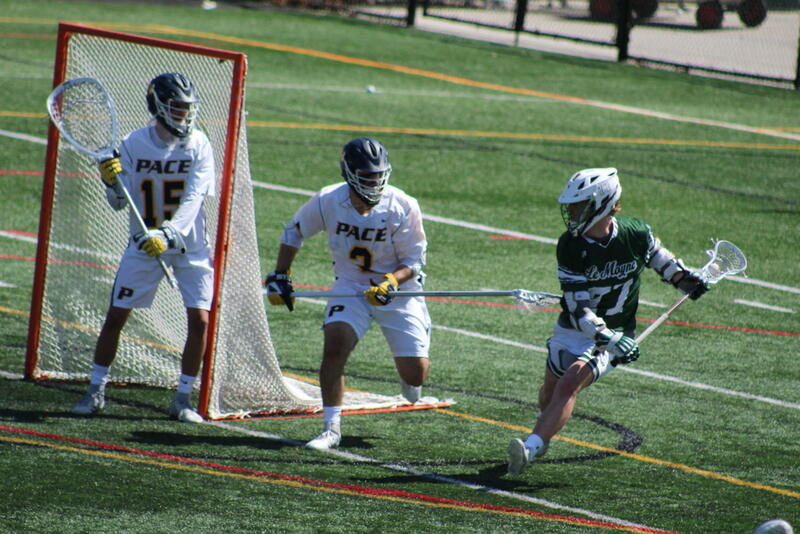 Daniel Keenan, Pace’s leading point-scorer of the season, registered three points off two goals and an assist. He has now reached a team-high total of 25 goals and 49 points this season. Keenan’s teammates Wyatt Barfoot, Bradley Paterson, Tomas Rodriguez, and Vincent Vasheo each scored their own goals. Freshman goalie Louis Ragusa completed 14 stops in net, finishing the game with a save percentage of .560. 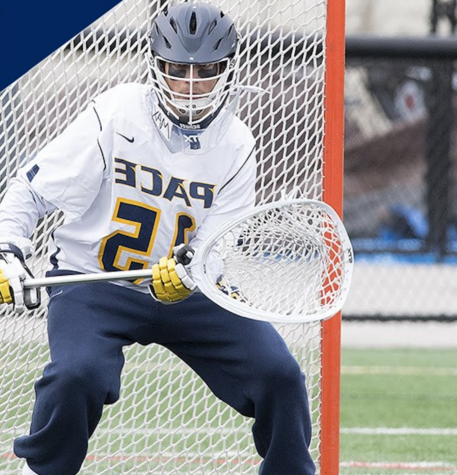 The Setters will face Saint Anselm on Wednesday at 3:30 p.m. at Pace Stadium. 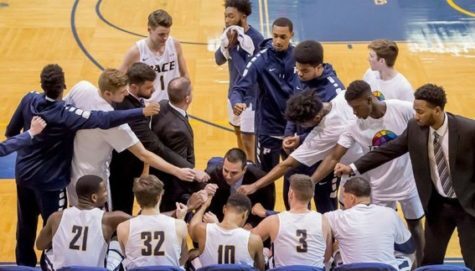 Pace wins over Saint Michael’s College 10-7, improving the Setter’s record overall (5-6) and in the Northeast-10 Conference (3-4). Senior Juliana Marcolini proved herself offensively once again and lead the blue and gold with three goals. The Warwick native has now scored 12 goals during Pace’s last four games. 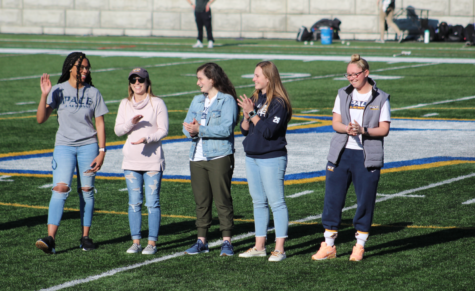 Sophomores Emma Rafferty and Emma Norton each scored two goals, and freshman Isabella Piccola, junior Mary Kate Lonegan, and graduate student Courtney Sulfaro each rounded out the score with a single goal game. The Setters next game is on Wednesday when they visit Stonehill at 7 p.m.
Pace baseball swept Saint Michael’s at the Saturday doubleheader winning 6-1 and 4-2, improving Pace’s record to 17-9 on the year and 6-5 in the Northeast-10 Conference. During the first game, Dan Wirchansky tossed a season-high eight shutout innings, allowing just one hit while striking out 16. Still scoreless in the fourth, the Setters plated the game’s first run after an Alex Pia single. Dean DePreta advanced to third and came around to score due to an error on the Saint Michael’s second baseman. Two innings later, the Setters tacked on another pair of runs. Noah Clement earned an RBI on a groundout that scored Michael Barbato, while Pia came home on a passed ball. Pace established a high standing with three ninth-inning runs, starting with a Luke Jacobi RBI single. The second game began with Freshman Michael Roll on the mound. He threw a scoreless five innings, allowing only two hits and a walk while recording seven punchouts. Saint Michael’s pitcher Alex Mendez held Pace in check through the opening seven innings. The Blue and Gold were limited with only two hits through seven innings. The Purple Knights scored first, tagging Frankie Giuliano for back-to-back two-out RBI doubles to put them ahead 2-0. Pace answered right back when DePreta hit a triple to right center to score Jacobi, and Barbato’s sacrifice fly one batter later evened the score. Jacobi would open up the frame with a walk, advancing to third on a sacrifice and a single. With Barbato at-bat, the redshirt freshman came home on a passed ball. Later, Barbato hit a fly ball to centerfield, bringing home DePreta to extend Pace’s extra-inning lead up to 4-2. Lorenzo Russo closed out the game, allowing a lone baserunner. In the first meetings between the two programs since 2013, the Setters notched victories of 14-1 and 5-3 over Franklin Pierce. Following a decisive win in the opening game, Pace notched an extra-inning victory in the day’s finale. The Setters broke a 3-3 tie with a pair of runs in the eighth inning. Freshman Arielle Acosta drove in both runs in the eighth inning with an RBI single up the middle. She also completed a solid opening contest, going 2-for-4. The Setters had a huge offensive edge and totaled 19 runs and 26 hits. Senior Lindsey Ah Soon led the way, combining to go 5-for-8 across the two games with three RBIs. Classmate Annie Carberry was also strong at the plate, putting together a 4-for-8, three-RBI day. In Pace’s 14-1 win, junior Emma Carruth served as the spark with three hits, three runs scored, two RBIs and a walk. Briana Ryan and Zoie Iverson each drove in three runs in the first match. MacKenzie Garrick and Kate Dolinski earned the pitching victories for the Setters. Garrick allowed only one run over six innings in the opener, while Dolinski went the full eight innings in the second contest. 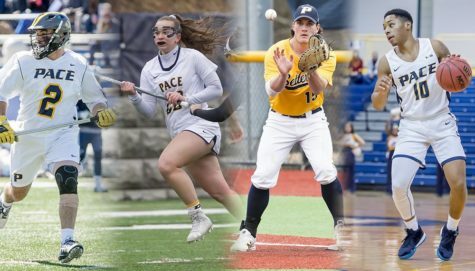 The Pace baseball team completed a doubleheader sweep of Saint Anselm College, improving the Setters’ overall record to 19-9 this season, and 8-5 in the Northeast-10 Conference. Pace’s five-run eighth inning in the first game generated a doubleheader sweep with scores of 6-2 and 14-1. The triumphant Setters totaled 21 hits and 18 walks in both contests. Dean DePreta led Pace’s offense, going 5-for-9 with a walk, three runs scored, and two RBIs. He hit his first home run with Pace in the fourth inning of the second game. Michael Barbato and Brian Bohlander each had great efforts, combining to go 4-for-10 with five runs scored and six walks. Noah Clement chipped in a 3-for-8 afternoon, while Luke Jacobi drove in a team-high three runs in the second game. Greg Najar and Nelson Arroyo picked up the wins on the mound, while Thomas Ippolito tossed six innings without allowing an earned run. The Setters will next take on the University of New Haven away on Wednesday afternoon at 3:30 p.m.